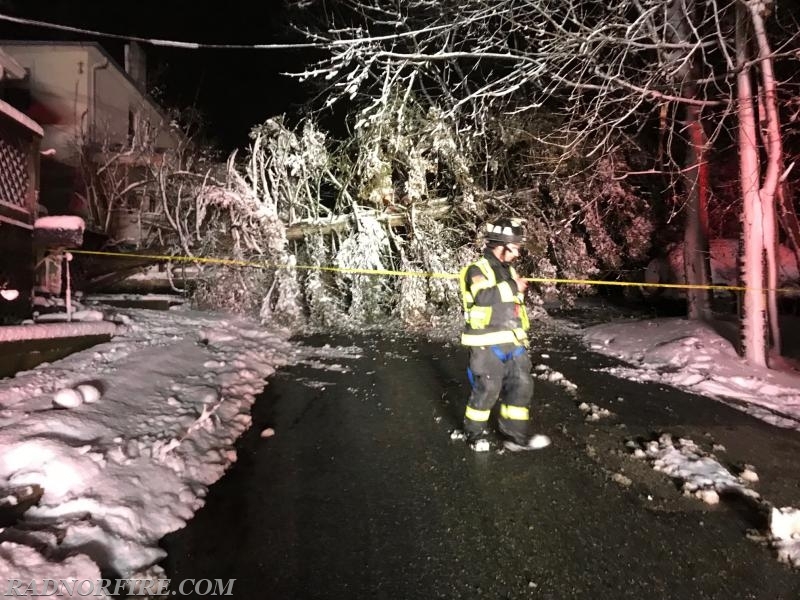 Radnor Fire Company responded to more than 40 fire and emergency calls in 11 hours Friday as Winter Storm Riley slammed the region. The powerful winter storm hit the Philadelphia region beginning at 12 p.m. Friday, packing 70 mph winds and heavy snow, creating treacherous travel conditions that led to multiple traffic accidents, stranded scores of travelers, and knocked out power to a half-million electric customers. 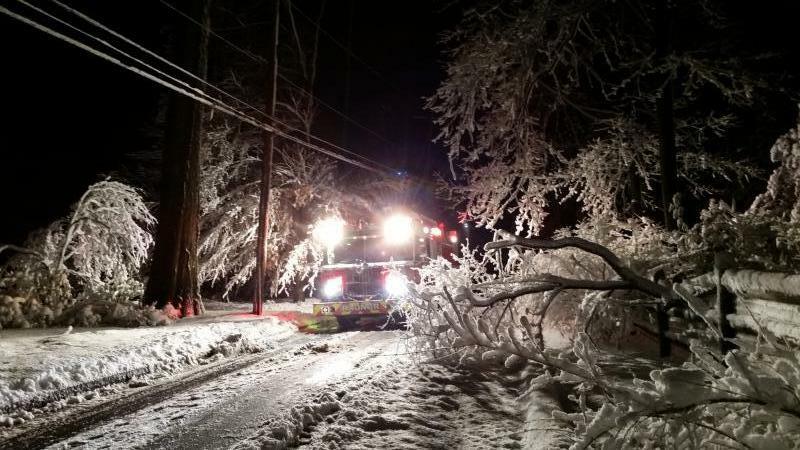 More than 20 Radnor volunteer firefighters, EMS crews and career staff were kept continuously busy from 1 p.m. Friday to well after midnight Saturday morning responding to non-stop calls for downed power lines, traffic accidents, automatic fire alarms and carbon monoxide incidents. At several points Friday evening, all five of Radnor's fire apparatus were on the road responding to multiple, simultaneous calls. From the hours of 6 to 9 p.m. on Friday, Radnor crews would return to the fire station on South Wayne Avenue in Wayne, and before the trucks could be backed into their bays, crews would be called on to mount up and answer another alarm. Downed power lines created hazards across Radnor Township for motorists and firefighters. Back-up generators caused carbon monoxide alarms and incidents for several homeowners in the township. No serious injuries or major damage to property was reported in Radnor Township. Any interested individuals are asked to complete the membership application. 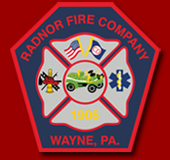 The completed application can be mailed to the Radnor Fire Company, P.O. Box 31, Wayne, PA 19087 or hand delivered to the firehouse anytime during the week from 8 a.m. - 4 p.m. You are also invited to stop in to learn more about volunteering any Monday night around 7:00 p.m. when we hold are weekly drills and meetings.